This 14k white gold ring is adorned with 24 stunning white diamonds weighing 0.12 CT. 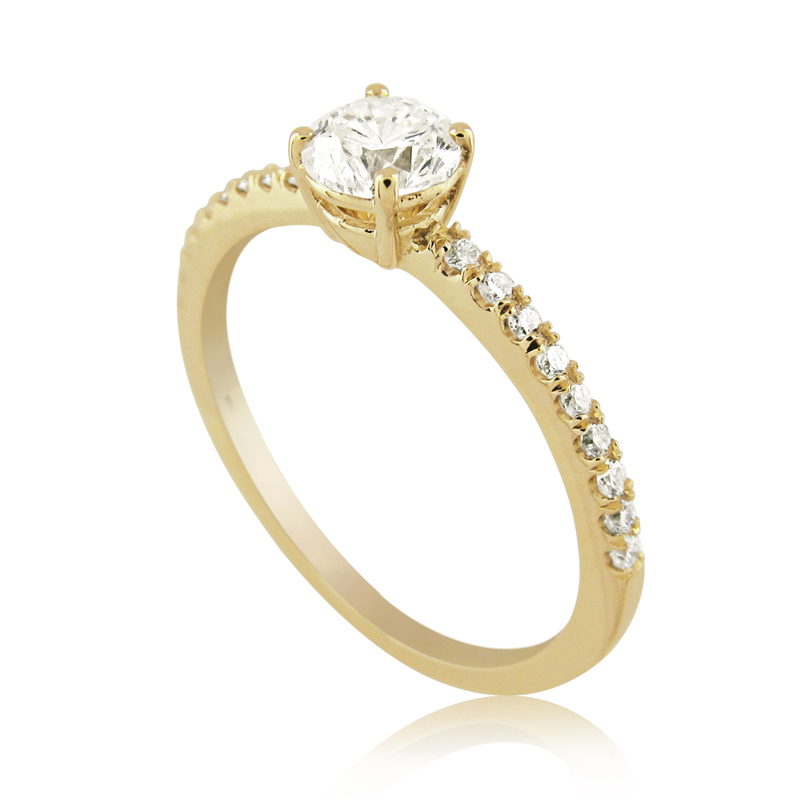 The design of this charming ring is simple & delicate ... but glittering & impressive! 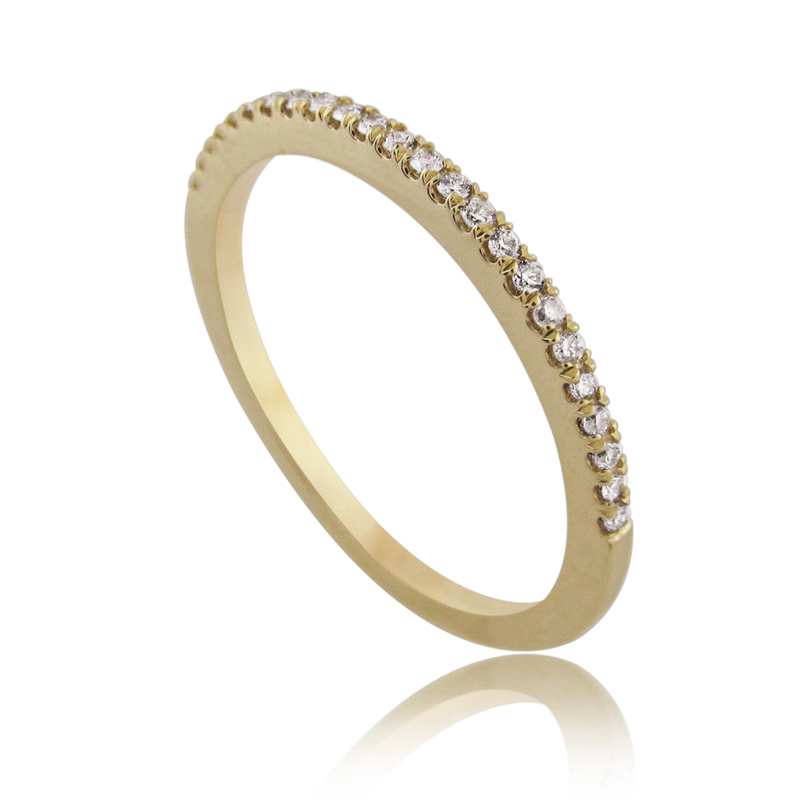 The ring is thin and delicate ... with 24 white diamonds on it, adding a luxurious and charming look! 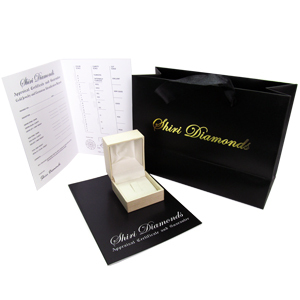 The diamonds cover half of the ring and the rest of the ring remains smooth gold. Special ring for special women!